Since its inception in 1967 a group of volunteers has worked in the Glenbrook Native Reserve on Wednesdays. This group is known as the Wednesday Group. Much of the maintenance in the reserve and nursery is done by the Wednesday Group. Activities of members of the group include caring for and propagating plants in the nursery, weeding both the display gardens and the bushland in the reserve, making plantings, labelling plants in the reserve, maintaining paths and assisting visitors. "In memory of Ruth Dorothea Overton 1917-2002 Whose knowledge and dedicaion for over forty years inspired so many people to love Australian Native Plants. 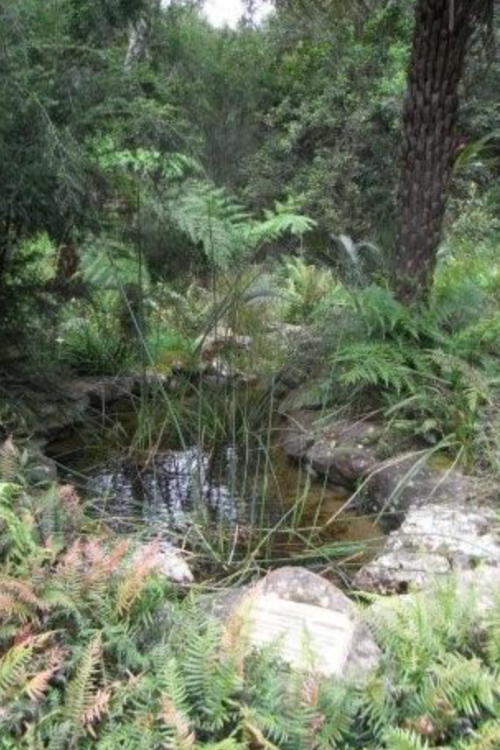 Installed by Blue Mountains Group Australian Plants Society, 1st June 2003".